With significantly smaller size, the MacBook Air 2018 is 17% lighter, 10% thinner, 0.61 inches thick at its thickest point, weighing 1.25 kg, lighter than a quarter of its predecessor. The MacBook Air 2018 is made from 100% recycled aluminum, thanks to this aluminum alloy which reduces the carbon footprint of the MacBook Air to nearly 50%. 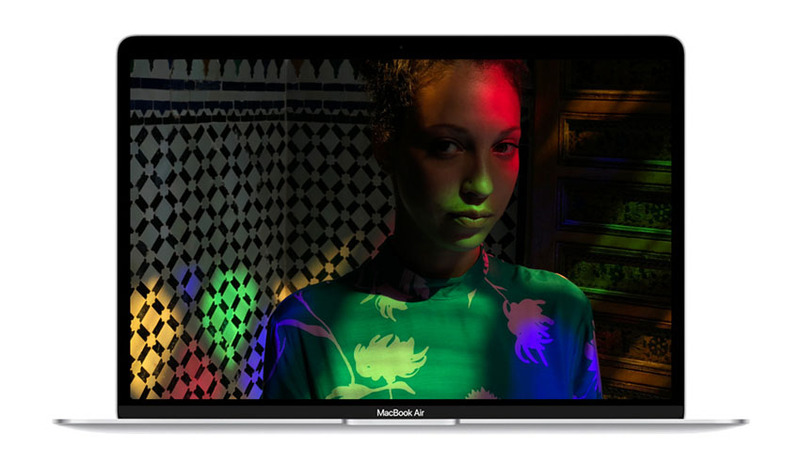 With a 4x HD display, the 13.3 “Retina Display provides 48% more color than previous generations. The Retina Display has a screen resolution of 2560 x 1600 and a 16:10 aspect ratio of 227 pixels per inch (ppi) providing incredible detail and realism. The content is as sharp and clear as you are reading the document, email or newspaper printed. With rich colors and vivid colors, you will love what you see on the screen. The MacBook Air 2018 has a built-in Touch ID sensor that allows you to unlock your MacBook Air with fingerprints and identity verification. High security lets you shop securely online with Apple Pay. Combined with Apple’s T2 security chip, T2’s Security Enclave protects your Touch ID information. In addition, the T2 also has an SSD controller with on-the-fly data encryption for all data stored on the SSD so that the boot process of the device is always secure. This system is equipped with the Intel Core i5 1.6GHz dual-core processor and features 8GB LPDDR3 2133MHz RAM and 128GB SSD. 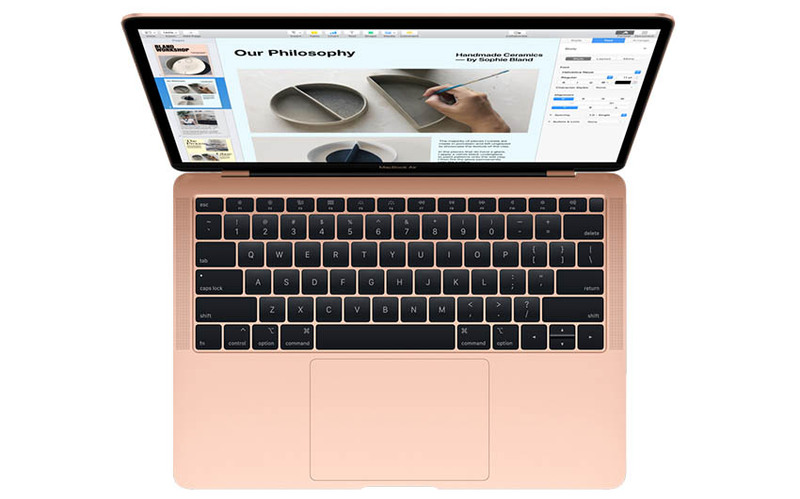 Connectivity, the Macbook Air 2018 with internet over Wi-Fi 5 (802.11ac) and Bluetooth 4.2 for wireless connectivity with compatible peripherals and accessories. The Thunderbolt 3 port provides high bandwidth of up to 40 Gb / s and USB Type-C flexibility. With battery life of up to 12 hours, you can use the MacBook Air 2018 for a long time. You can check email, browse, shop online, write documents, watch videos, manage spreadsheets, and more. The MacBook Air 2018 uses Apple’s keyboard mechanism to make the user’s operation faster and more accurate. Each key has its own backlight and works with the ambient light sensor for even more illumination. You can also use the Force Touch touchpad, which is 20% larger than the previous generation and has the ability to sense pressure and tactile feedback. The stereo speakers have also improved to make the MacBook Air sound better than ever. The stereo speakers offer twice the bass and 25% more volume than the previous generation. Stereo speakers are also wider, which helps to create a lively sound that gives users the best viewing experience for movies and music. – The vision is brighter than ever. – Performance boosts across the board. – Graphics that render you speechless. – Retina at its most brilliant. – Thunderbolt 3. Make some powerful new connections. – A lot can happen in 5 millimeters.